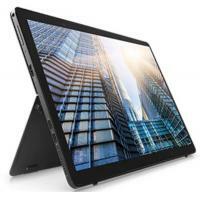 On-the-go flexibility: The Latitude 5290 2-in-1 is built for mobility. From meetings around the office to traveling across the country, its thin and light frame can fit anywhere. Reliable performance: Equipped with the latest generation of either Intel® Core™ i Dual or Quad processors, you can choose the power you need to stand up to the longest workday. Extensive connectivity: Conveniently connect with a single cable with the optional Dell Business Dock, Dell Business Thunderbolt Dock or Dell Business Dock with Monitor Stand.